Central Asia Metals has proposed a final 2018 dividend of 8p (US10.46c) per share, bringing its total 2018 payout to 14.5p, down from 16.5p in 2017. Central Asia said the total dividend was in line with its policy of returning 30-50% of annual free cash flow to shareholders, representing 44% of the 2018 adjusted free cash flow. CEO Nigel Robinson said once the final dividend was paid, the company would have returned $162 million to its shareholders in the past seven years. 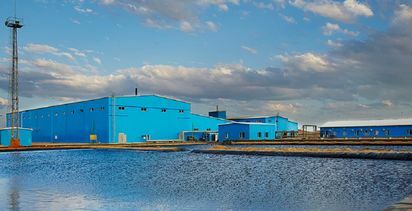 "With low cost production from both operations, we are confident that we can continue to offer attractive returns to shareholders in 2019 and beyond," he said. Central Asia reported gross revenue of US$204.2 million for 2018, climbing 92% year-on-year, with earning per share from continuing operations of 31.33c, up from 29.08c in 2017. Its group EBITDA more than doubled to $125.3 million, compared to $53.9 million in 2017, while the EBITDA margin rose from 51% to 61%. Group net debt at the end of December was $110.3 million, down from $138.9 million at the end of the previous year, with gross debt repayments totalling $38.5 million and cash in the bank at $39 million as of December 31. At its Sasa zinc-lead mine in North Macedonia, Central Asia produced 22,532 tonnes of zinc in concentrate during the year, much higher than the attributable 3,625t in 2017. Output of lead in concentrate also jumped to 29,388t from 2017's attributable 4,951t. Last year was the first full year of production at Sasa. 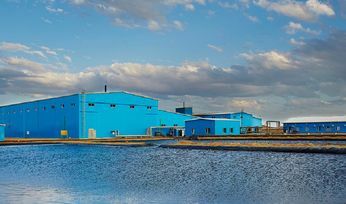 Central Asia's Kounrad plant in Kazakhstan produced 14,049t of copper during 2018, almost steady with the previous year's 14,103t, with 68% of production from the Western Dumps. 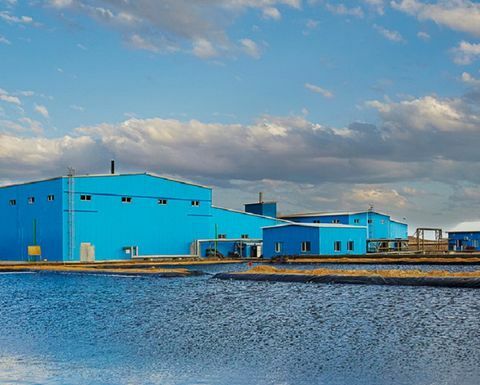 Robinson said the acquisition of Sasa had helped the 132% year-on-year increase in EBITDA and the broadly-maintained EBITDA margin of 61%, despite an average 20% fall in the basket price of its base metals. "EBITDA per share increased year-on-year by 65% and EPS from continuing operations rose by 8% from 2017 to 31.33 cents. We believe that, while taking other factors into account, these increases demonstrate the accretive nature of the Sasa acquisition," he said. "We move into 2019 as a highly cash generative resources company with two low cost operations producing three base metals with attractive market fundamentals. "We believe that this forms the basis of an excellent platform from which to once again grow by acquisition, and we are encouraged by the quality of some of the opportunities that we are reviewing." Meanwhile, Central Asia is on track to meet its full-year production guidance for copper, zinc and lead after a strong March quarter at Kounrad and Sasa. Central Asia produced 2,952t of copper at Kounrad during the quarter, slightly lower than the 3,070t produced in the first quarter of 2018. At Sasa, zinc concentrate output rose 2% year-on-year to 5,639t at a grade of 49.43%, while lead concentrate output climbed 3% to 7,212t at a grade of 73.1%, respectively. The base metals were produced from 197,836t of ore mined and 199,489t plant feed, with the zinc grade at 3.26% and the lead grade at 3.84%. Recovery of both metals was good, with 86.8% of zinc recovered and 94% of lead. 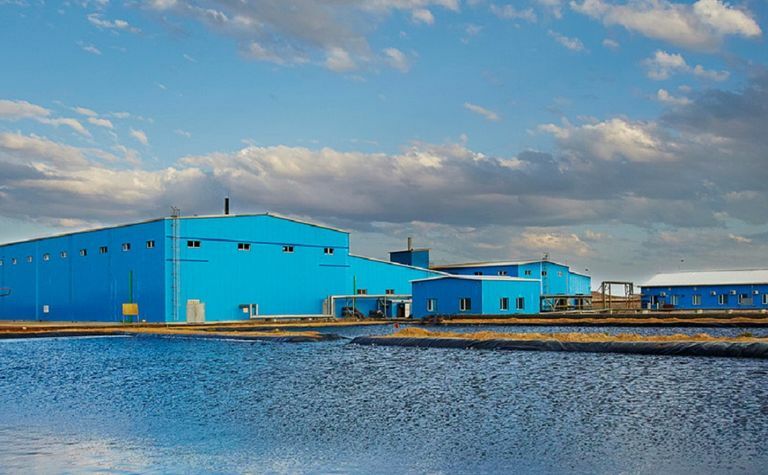 The company aims to produce 12,500-13,500t of copper cathode, 22,000-24,000t of zinc in concentrate and 28,000-30,000t of lead in concentrate in 2019. Sales from Kounrad for the quarter totalled 2,894t, while Sasa sold 4,754t of zinc and 6,921t of lead during the quarter. Robinson said the results reflected a good start to the year at both operations. During the quarter, Central Asia also updated Sasa's mineral resource estimate (MRE) to total combined indicated and inferred resources of 22.5 million tonnes with a zinc grade of 2.87% and a lead grade of 4.23%, containing 646,000t of zinc and 953,000t of lead. A 2018 infill drilling programme also converted some of the Golema Reka deposit's inferred resources to an indicated resource of 1.3Mt at a zinc grade of 1.61% and a lead grade of 3.8%. Robinson said the updated MRE underscored the belief that Sasa was a long-life (19 years) asset with a high-quality resource base. "We have, in the updated MRE, demonstrated higher overall zinc and lead grades at our current mining area of Svinja Reka. At Golema Reka, our resource was previously all within the inferred category and we now have 1.3Mt within the higher confidence indicated category out of a total Golema Reka combined indicated and inferred mineral resource of 7.6Mt," he said. Central Asia plans to continue drilling during 2019 at Svinja Reka to better understand the mineralisation at depth. It will also drill some exploratory holes into the Kozja Reka area between Svinja Reka and Golema Reka. The company's shares (AIM:CAML) slipped 3.86% Wednesday after the results to £2.56 (US$3.35), but are trading 19.7% higher than levels seen six months ago.